(BRANSON, MISSOURI) – Buffalo Ridge Springs and Branson Hills earned top placements in GOLF Magazine’s biennial 2016-17 “Top Courses You Can Play” by state course rankings, determined by a panel of experts who review courses throughout the country. To determine the best-in-state list – subtitled “The Best Courses Near You” – GOLF Magazine raters scrutinized thousands of courses in numerous categories to yield aggregated numerical ratings. Buffalo Ridge Springs (No. 1) and Branson Hills (No. 3) took two of the top three positions in Missouri, making the Branson/Lakes Area the go-to destination for upper echelon golf. A “Top 100 Public Course” in America upon its debut in 1999, Buffalo Ridge Springs re-opened in 2014 after a nuanced transformation guided by visionary conservationist and owner Johnny Morris with course architect Tom Fazio. Adding new approaches, water features and bunkers, Morris and Fazio redesigned the layout to bring players in close contact with nature, including native grasses, rock outcroppings and free-ranging buffalo from nearby Dogwood Canyon Nature Park. Along with the Jack Nicklaus-designed Top of the Rock – which Hall of Famer Gary Player calls “the best par-3 golf course in the world” – Buffalo Ridge Springs is a host course each spring for the Bass Pro Shops Legends of Golf at Big Cedar Lodge. The layout at Branson Hills – formerly known as Payne Stewart Golf Club – meshes water, hardwoods and undulating terrain into a scenic, scintillating round. The clubhouse displays museum-like tributes to golfers who established their playing excellence in Missouri, including Payne Stewart and Tom Watson. 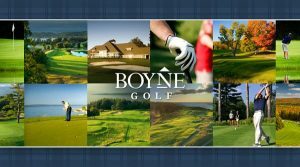 The course was designed by Chuck Smith with consultation from Bobby Clampett, currently playing on the PGA Champions Tour and commentating on CBS Sports golf broadcasts. 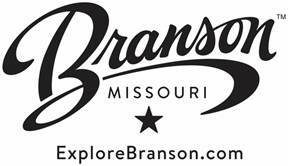 For more information about Branson/Lakes Area Golf, visit www.facebook.com/BransonGolf or www.explorebranson.com/golf. Branson is a one-of-a-kind family vacation destination nestled in the lakeside beauty of the Ozark Mountains — and an incredible value — with dozens of live performance theaters, three pristine lakes, championship golf courses, an international award-winning theme park, dozens of attractions and museums, a Historic Downtown district, a Town Center-style shopping complex, a full range of dining options, and a host of hotels, motels, resorts, RV parks, campgrounds and meeting and conference facilities. HUNTINGTON BEACH, CA – Club Glove® – The leader in premium travel luggage, golf bags, club covers and accessories continues enhancing their TRS Ballistic line of premium luggage. Since it’s initial debut in 2011, the TRS Ballistic line has continued to break new ground by making continual improvements to the luggage features; from the innovative connecting process to its state of the art wheelbase. Some of the newer features include: a newly designed high impact wheelbase that allows for recessed storage of the retractable handle and added protection of interior goods, along with a new zippered compartment that stows the patented Train Reaction System adjustable straps when not in use. The newest of these features is the adjustable strap, which allows the user to connect multiple pieces of rolling luggage no matter the size and conveniently carries at your preferred height. Following its inaugural launch, the TRS Ballistic luxury luggage line quickly became renowned as the world’s only self-balancing and connecting luggage system, which introduced a new standard in American made luggage. TRS Ballistic is strategically designed to meet the demands of the avid traveler and touring professional. Functioning as an interconnected luggage system, TRS Ballistic luggage creates a perfectly balanced train by attaching multiple pieces together; providing an effortless and almost weightless movement around and about airports and cities. Luggage, or suitcases – as it was once known – has seen dramatic evolvement over the past two decades, contingent to advancements in transportation. These days, the biggest concern travelers seem to have are how properly their luggage is being handled by third party personnel such as, TSA, airline baggage handlers, etc. With this in mind, Club Glove strategically designs its luggage to withstand most, if not all, of the tribulations that come with travelling. The TRS Ballistic luggage line will be displayed at the Club Glove booth during the PGA Fashion and Demo Experience taking place in Las Vegas, beginning August 15th through August 17th. 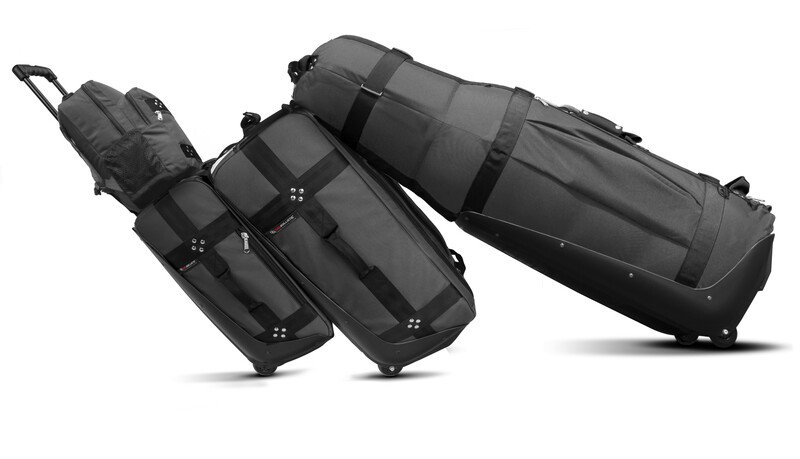 Club Glove is the undisputed number one professional and collegiate golf travel bag brand. Used by more PGA Tour players than any other brand in golf, the Last Bag was named one of the sport’s top 10 innovations of the last 20 years by Golf Digest. Their latest innovation in luxury travel, TRS Ballistic luggage, has taken the luggage industry by storm with pristine pieces that display sophistication and unmatched durability. For more information regarding Club Glove USA or to purchase products see www.clubglove.com or call (800) 736-4568. Get social with Club Glove USA on Facebook or Twitter. New York – (Cision) – After 20 years in the watchmaking business, Grayton has enough time and expertise under its belt to form a reputation in the noble profession of horology, a profession mostly dominated by the skills and craftsmanship of mechanical watches. If automatic watches are synonymous with high cost and luxury then Grayton is as well. When the idea came to launch the new brand Grayton Watches, in this extreme landscape, the NY design team did not hesitate. To satisfy his vision of automatic watches, the Grayton team chose accessible luxury by selecting the best components. 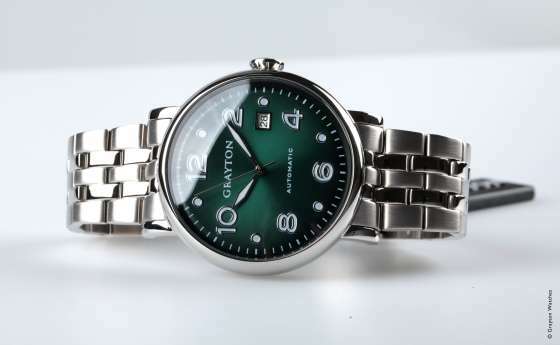 Grayton is a collection of automatic watches available in three sizes (44mm, 40mm and 36 mm) for men and women who are sick of the rapid turnaround of products in the market and want something that will last. A new generation, proclaiming its right to access a single timepiece carrier with authentic values, is underway. To emerge and appeal to a connected generation hungry for products that possess quality, back to basics craftsmanship, and fair prices, Grayton has positioned itself with suitable price points below $300 USD. In a world where the average price of a quality automatic watch is on the market for at least $700 USD, this is astounding. By going off the beaten track, the team at Grayton experimented with different strategies involving opinion leaders in the watch and fashion industry. In order to experiment with these leaders, a watch was sent to them -fully customized- in exchange for writing an objective review on the product. This approach was supplemented with the offer of discount coupons to generate cascading sales on the board. Grayton was born in New York and was inspired by the overall American design heritage. Surrounded by a multicultural team, Grayton Automatic Watches launched on August 1st, 2016 in the USA with the hope that offering an alternative choice for luxury would appeal to many.